Our first feature focused on the brilliant work of Rough Trade Books, but next we have Dostoyevsky Wannabe, a publisher based in Manchester who are not only producing a ridiculously high volume of innovative literature at the moment (having published about 40 books in the last 4 years at last count), but who, with a new model approach to publishing, are re-imagining the possibilities of what a small publisher can do. 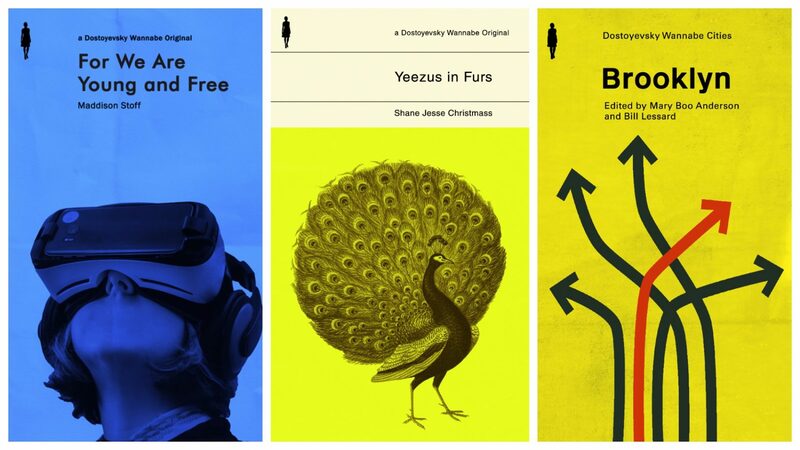 Dostoyevsky Wannabe is the brainchild of Victoria Brown and Richard Brammer, who are both writers, artists, and designers, and who are based in Manchester. 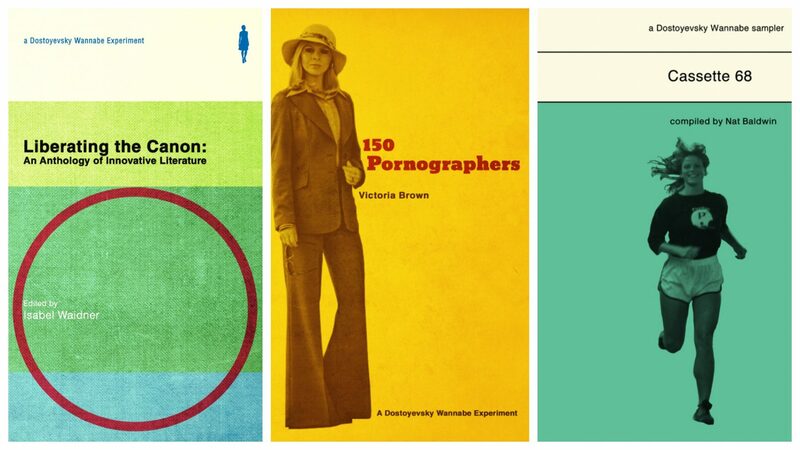 Dostoyevsky Wannabe began as a platform for Richard and Victoria to publish their own work, but quickly became a vehicle for making the work of other fringe and experimental writers accessible. With their books retailing at around £5 each, accessibility seems to me an important part of Dostoyevsky Wannabe, and the most obvious comparison for me is the independent record label K Records in 1980s Olympia, Washington. Similarly to Dostoyevsky Wannabe, K Records ideology was based around using the technology of the day to democratise the process of making lots of art, by capitalising on the cheapness and malleability of cassette tape technology. For Dostoyevsky Wannabe, the 2018 version of this vision is to capitalise on the tools of late capitalism. The reasons why Dostoyevsky Wannabe are different can be neatly split into two categories: what they produce and how they produce it. Richard and Victoria edit and design the books themselves, and then use a print-on-demand service through Amazon, which means that only books that are bought are ever printed, circumventing the problem of having to pay upfront for a large amount of books that may or may not sell. This has meant that the only limit to how much they publish is their own time, energy and imagination. The books are then made available at a very low price (usually about five pounds). In this way, Richard and Victoria have managed to manipulate the fabric of late capitalism in order to create what is essentially a non-profit avantgarde publishing house, which in my opinion is highly admirable. The books show inspiration from both the design and affordability of Penguin and Pelican paperbacks from the 1960s and 70s. But although there is a definite aesthetic style of the books that they produce, in terms of content the range is very broad. In their own words, they publish ‘long books, flash fiction, poetry, anthologies, samplers, chapbooks, experimental things.’ What I would say is that the common strand between all them is a DIY spirit and an experimental ethic which makes Dostoyevsky Wannabe feel less like a traditional publishing house and more a platform for innovative artists and innovative literature. Of particular interest is the recently launch range of Dostoyevsky Wannabe Cities anthologies, which are anthologies of countercultural style essays of cities as diverse as Santiago, Coventry, Madrid and Dundee. So many it’s near-insulting. I first came across them via Marcus Slease’s mercurial poetry collection Play Yr Kardz Right (purchased, incidentally, at the excellent Desperate Literature of Madrid). I was immediately struck by the freshness in Slease’s storytelling through poetry, but the book that the words came in was a beautiful object in itself. After seeking out more, I stumbled upon the experimental novel Gaudy Bauble by Isabel Waidner. I was sold on this not just by the fact that it was runner up to Eley Williams’ Attrib. And Other Stories in this year’s Republic of Consciousness Award, but also by its tagline: “A glittering world populated by Gilbert & George-like lesbians, GoldSeXUal StatuEttes, anti-drag kings, maverick detectives, a transgender army equipped with question-mark-shaped helmets, and pets who have dyke written all over them.” The novel explores a lot of really interesting themes around identification in gay culture (particularly focusing on the trope of animal identification such as ‘bear’ in relation to sexual identification and desires), but it is the prose that really carries the book, establishing Waidner as one of the leading voices of the current literary avantgarde. I purchased this at the same time as their big anthology Liberating the Canon: An Anthology of Innovative Literature, which features more Waidner (who it is also edited by), as well as Eley Williams, Joanna Walsh, Jay Bernard. Notably, many of these writers share an affiliation with the long-running online journal 3:AM Magazine, who have been at the forefront of English language literary innovation since 2000. 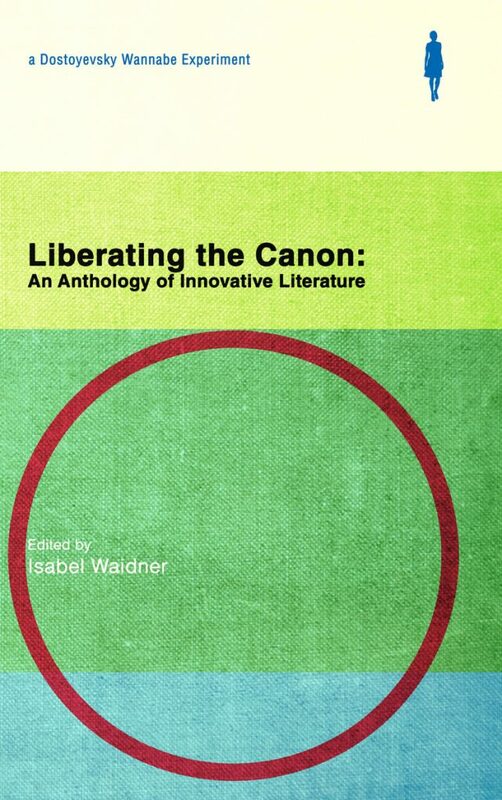 Liberating the Canon is a great showcase of where boundary-pushing fiction is at right now, and as a starting point, I would thoroughly recommend both it and Gaudy Bauble. Of the more recent releases, I’m excited to read Rosie Šnajdr’s A Hypocritical Reader, a very promising sounding mix of sci-fi, meta-fiction, absurdism, and social critique. This is difficult to say with Dostoyevsky Wannabe, as they move very quickly. But one thing they are doing is moving into design work with Dostoyevsky Wannabe Design, which given the high design quality of their books, makes a great deal of sense. 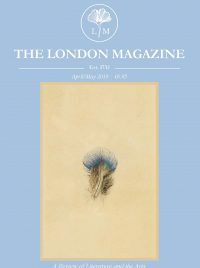 Early work has included for the Cambridge Literary Review, but they are also branching out into typesetting and cover design work for independent presses. 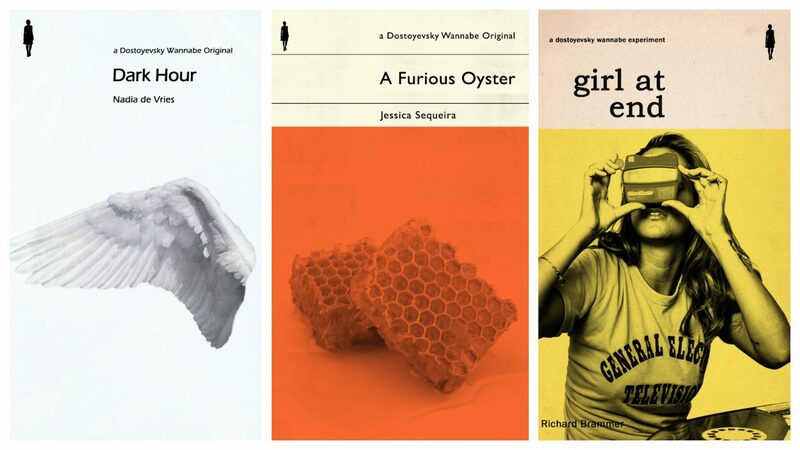 Recent releases on Dostoyevsky Wannabe Originals include Benjamin DeVos’s The Bar is Low, Jessica Sequeira’s A Furious Oyster, while Dostoyevsky Wannabe Experimental imprint has seen Chuck Harp’s Blooming Insanity, Richard Barrett & Steve Hanson’s The Acts, Richard Brammer’s Girl at End and Sovereign Invalid by Alan Cunningham. There are so many that it is difficult to keep up, but it is worth keeping up with them on social media to see what they have going on. Their books are good, and cheap. Buy them, read them. For more on Dostoyevsky Wannabe, visit their website.